Don’t you just love old carousels? This one is located at Glen Echo Park in Maryland, and was installed in 1921! After checking out a strawberry festival on Saturday, we dropped by the park and I took photos until the heat and humidity got to be too much. Was it just a few months ago I wore fingerless gloves to keep my fingers from freezing? 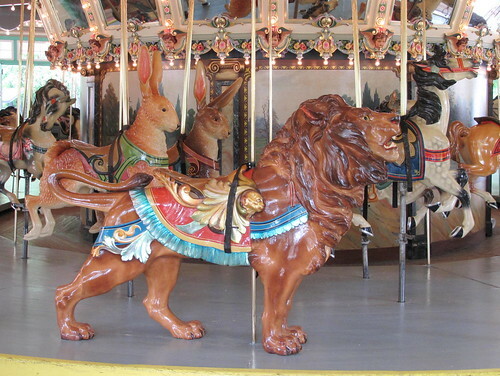 The canopy and the carved figures were made by the Dentzel Carousel Company of Germantown, Pennsylvania. I think the details are so beautiful. 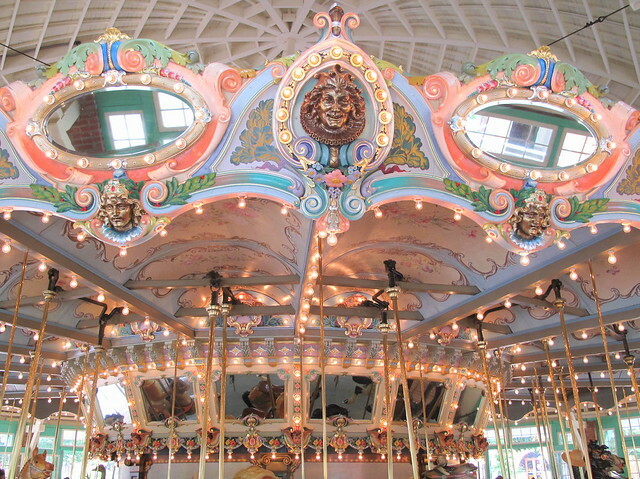 The Glen Echo carousel was in a scene in the 1989 comedy Chances Are starring Robert Downey Jr. and Cybill Shepherd. Sometimes it’s fun to shake things up a little. I rotated the original image and used a vintage cross processing action from Florabella. Hope you all had a great weekend…. This entry was posted in photography and tagged Dentzel Carousel Company, Florabella action, Glen Echo Park, vintage carousel, Wurlitzer band organ. Bookmark the permalink. Great shots. I love pictures of vintage rides or carnivals. Beautiful! This carousel is even prettier than the one at The Merry Go Round Museum in Sandusky. So glad you shared these photos! That’s an absolute beauty. Amazing. It really is something. So old and still going strong. 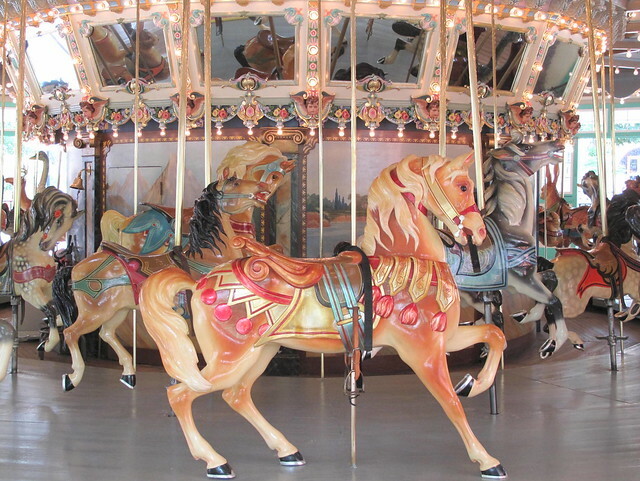 Carousels have a special type of beauty – thanks for the photos! the colors look gorgeous – like flowers! 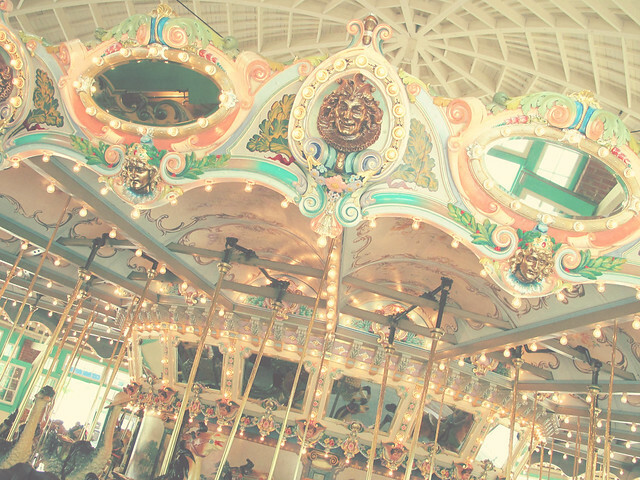 There’s just something so special about carousels. Maybe it’s the vintage appeal. Maybe it’s the craftsmanship. I love the ones with the unusual animals like the lion. I read an article recently about a woman in my neighborhood who is restoring the horses from an historic carousel that fell into disrepair. She’s painting them all by hand! It’s the nostalgia and craftmanship for me. Wish they made things like that nowadays. 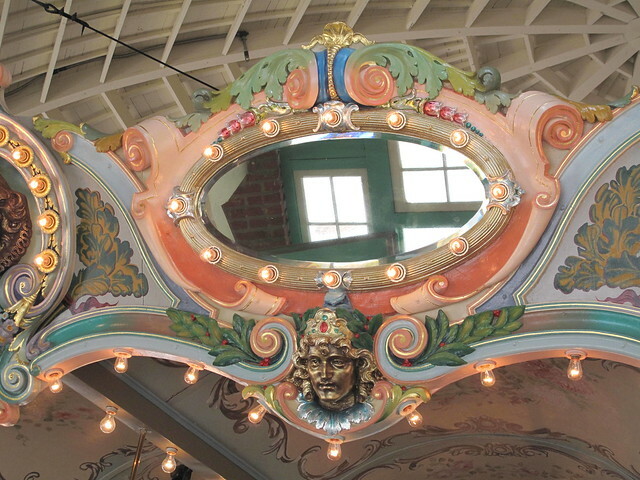 I think the woman who restored this carousel did it by hand too. You’d pretty much have to because of all the different colors. This is a beautiful carousel. Thank you for sharing this with us! I love carousels! When I was younger, I always had to ride twice. Oh, me too! Hey, is it your b’day yet? I’ve never seen a carousel like that. Gorgeous. Jennie, isn’t there a carousel in the Tuileries? I’ve never seen it, but Flickr is full of photos of some carousel in Paris. Wonderfully nostalgic images, Carole. 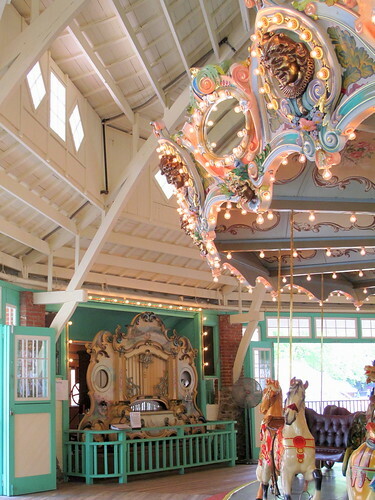 The vintage carousel is so well maintained … somebody loves it! Did you take a ride? We didn’t ride this time, Cheryl, but will go back! The weather was oppressive, and you had to stand in line in the hot sun.